San Jose Flea Market (San Jose, California) 4 out of 5 based on 16 ratings. 16 user reviews. 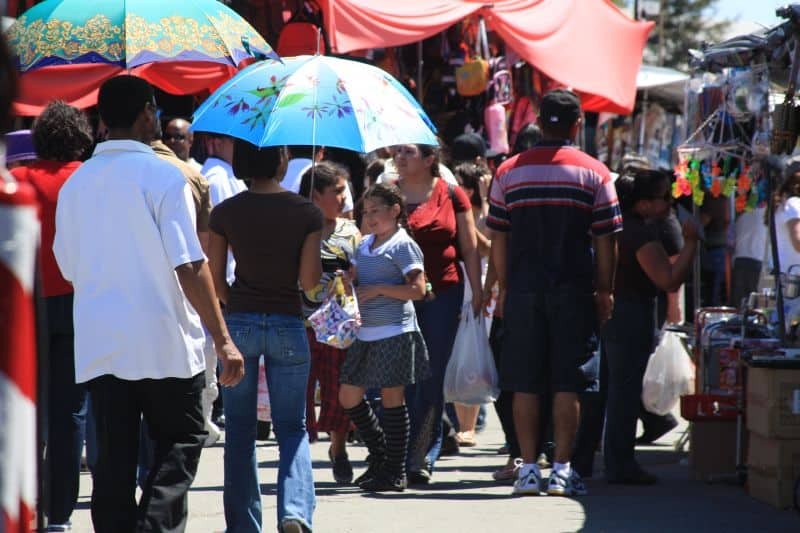 Located in the heart of the north-east San Jose in California, the San Jose Flea Market is one of the largest open-air flea market in the U.S., also known as Berryessa Flea Market, due to its location at Berryessa Road in San José, California. 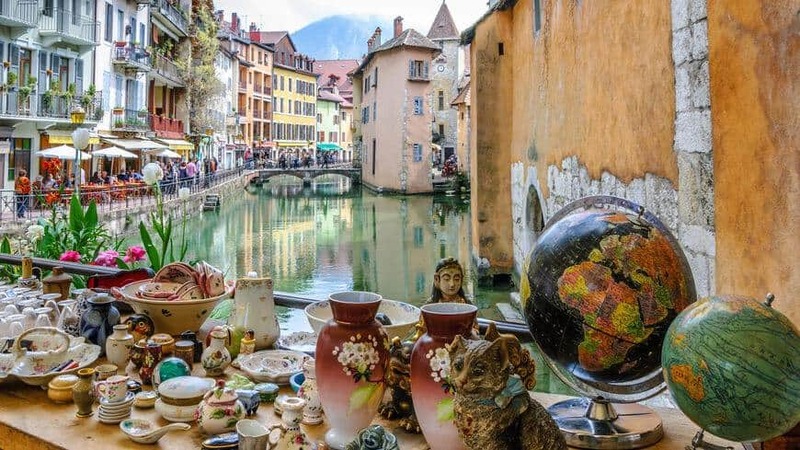 George Bumb Sr. created the market back in 1960, after he visited Paris and got inspired by France’s capital city’s flea market (and particularly the Saint Ouen Flea Market), as well as a few swap meets in Los Angeles. 60 years later, the San Jose Flea Market has become a true California landmark with over four million visitors flocking there each year. The 8 miles (13 km) worth of aisles allows for over 2,000 vendors – which makes it almost as big as the iconic Rose Bowl Flea Market and its 2,500 stalls. 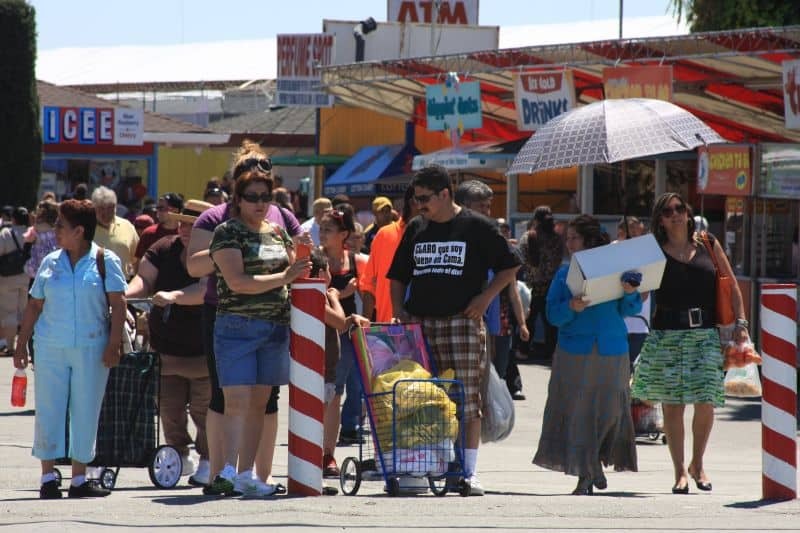 Vendors at San Jose flea market sell a wide array of goods ranging from jewelry, furniture, collectibles and clothing, to fruit, vegetables, toys, books, cars, car stereo equipment, toiletries, artwork, tools, cookware, and cosmetics, among other things. With a population and surface larger than some small towns (120 acres), the San Jose Market is a major contributor to the income of many Silicon Valley families. 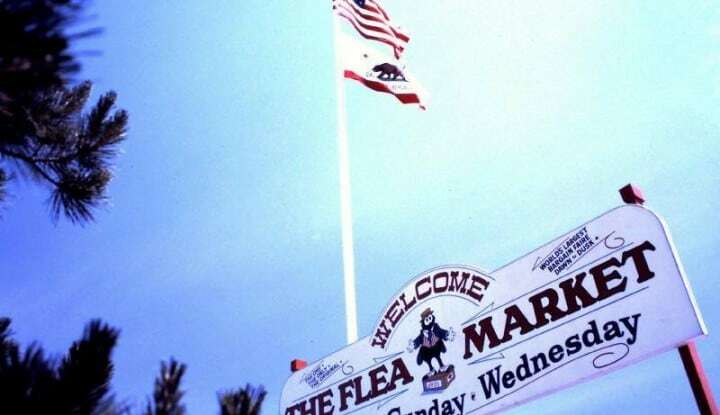 However, despite being a strong landmark in California, the San Jose Flea Market has lost some of its shine over the past years. There are better vintage and antique markets in the Bay Area and the days where it was considered one of the best flea markets in California for vintage and antiques are long gone, too. It is not anymore the community flea market it used to be. Local merchants and artisans showcased their wares and second-hand treasures to visiting customers, but nowadays San Jose flea market is what most seasoned flea market shoppers consider a cheap swap meet. If you heard stories (or have memories) of a place with many booths with wonderful things to sell, lots of people, noises and a faint smell of barbecue in the air, you might end up disappointed: the San Jose Flea Market is not anymore what it used to be 10 years ago. Nowadays, the vast majority of stalls showcase the same cheap things or just plain junk. Flea market vendors in the endless aisles of the San Jose Flea Market sell random stuff, including old kitchen appliances, clothes, piñatas, Mexican candies, shoes, furniture, blankets, mobile phones accessories, second-hand toys, and more. And after battling through a jungle of car stereos, embossed leather belts, California cropped t-shirts, video games & DVDs, Mexican crockery, and ready-made products, even the most motivated shopper would give up the idea of finding there something worth of interest at the San Jose Flea Market. However, visitors of the San Jose Flea Market who are willing to rummage through piles of junk and knockoff products might be able to find some steals. But if finding a hidden gem or anything of monetary value is already a difficult task in a “renowned” flea market, it is almost mission impossible at the San Jose Flea Market: the place is extremely big and it’s difficult to figure out where you are or where the stuff you want is, particularly if you’re a newbie to this swap meet. 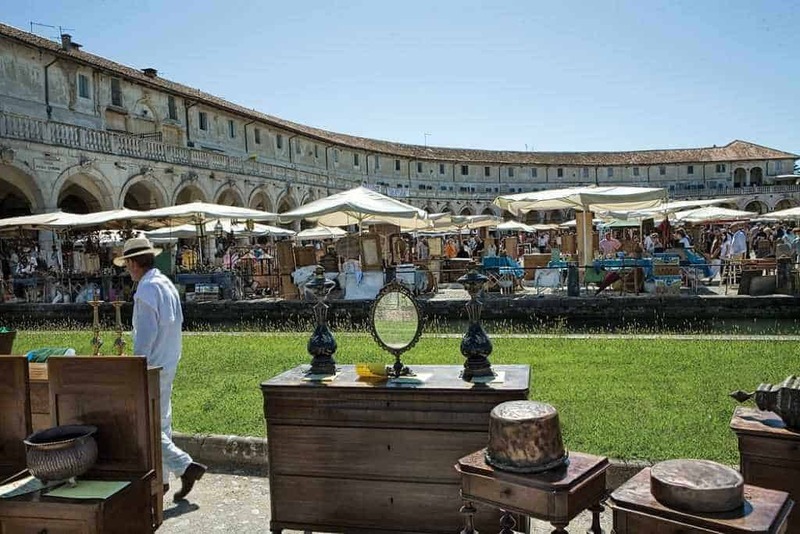 Seasoned flea market shoppers should forget about things like war memorabilia, old paintings, glassware, antiques, home decor, vintage jewelry and vintage clothing. You will hardly see any of it at the San Jose Flea Market. If you are into used furniture, you will see that most of those on display are tacky and new, like the kind of furniture you could find in the clearance section of a Big Lots. However, if you are looking for anything from household goods to new commercial items, then the San José Flea Market is the place to go. The redeeming factor of the San Jose Flea Market is to be found in another part of the flea market: down the Farmers Market’s avenue. Probably one of the best thing about the San Jose Flea Market has more to do with the “Market” and less with the “Flea”. The largest section of the San Jose Flea Market is actually its Farmers Market, which stretches a quarter of a mile through the market and features aisles filled with local vendors selling fruits (mangoes, pineapples, apples, oranges, watermelon, bananas) and vegetables from California’s farmers. As you go deeper into the heart of the market, things are getting more and more interesting. 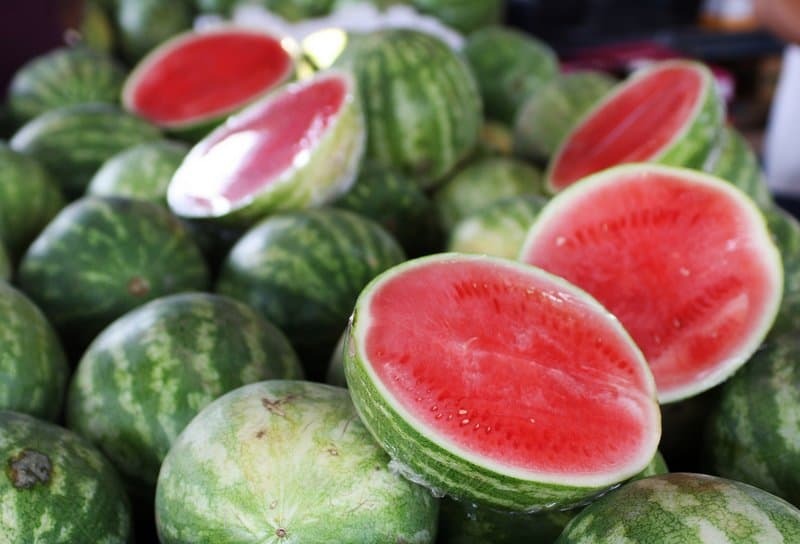 You will discover stalls selling freshly made fruit juice (mango, horchata, watermelon, orange…). Some merchants even toss samples of fresh fruit to passersby. Don’t forget to ask to try the pineapple covered in cayenne pepper! Some people say that the farmers market at the San Jose Flea Market is more like an outdoor market since the majority of the fruits/vegetables sold there are not locally grown nor organic. But all in all this market is a great place to come and kill time or shop for necessities. 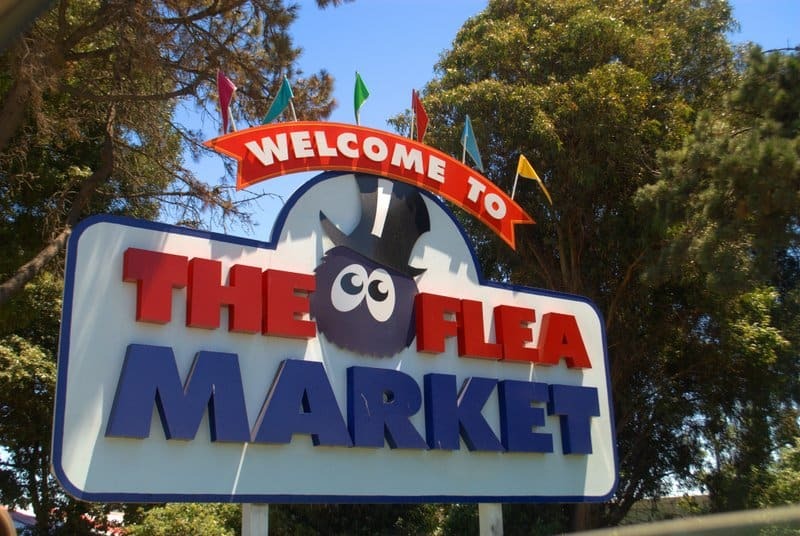 The San Jose Flea Market features a variety of entertainment options every weekend. There are two stages on the Flea Market grounds, one of which is consistently reserved for a Mexican Mariachi band. A vintage carousel, an arcade, three playgrounds, and carnival rides are among the attractions for children at the San Jose Flea Market. The San Jose Flea Market also hosts many restaurants that sell both American and Mexican food. Additionally, the Flea Market features traveling food carts that sell beer, soda, and churros. ✘ There are plenty of vintage shops already everywhere in S.F. So why bother? Bonus: US flea markets on a map! You can now explore the best flea markets and antique fairs in the US on a map! Click on the image below to access our map feature for free. We hope this review inspired you to discover more flea markets in California, and that you’ll share the love around you. Read more about the best SF Bay Area flea markets and the best flea markets in California, with the best tips by Flea Market Insiders.